Basildon Crown Court heard how the husband and wife, who are both in their eighties, were in bed at their home in Cromwell Road, Grays at around 2.30am on Tuesday December 4 last year when the attack happened. They heard banging downstairs and when they went to investigate they were confronted by Charlie Stutz, 20, 18-year-old Reece Dadson and Brandon Garrett, 19. Stutz, who was armed with a handgun, hit the terrified woman with the weapon before throwing her husband to the ground and repeatedly kicking him. The three men then began searching the property for valuables, during which time the gun went off but fortunately neither victim was shot. Stutz then went into the kitchen and picked up a household cleaner spray which he threatened to spray in the faces of the terrified couple. A neighbour, who heard screams, called police and officers quickly arrived at the scene. One officer grabbed Dadson, who was wearing a ski mask, and despite being slammed into a wall managed to handcuff and arrest him. Stutz and Garrett had both managed to climb out of an upstairs bedroom window onto the street below where they were confronted by officers who gave chase. Stutz punched an officer during the struggle. 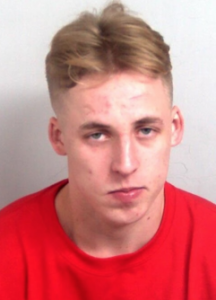 Despite being assaulted, that officer continued to chase Stutz and Garrett along with colleagues, including armed officers and the police helicopter. The pair were promptly arrested when they were found hiding in bushes. 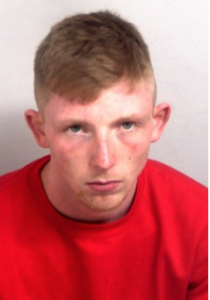 Stutz of Darenth Lane, South Ockendon was charged with aggravated burglary, assault by beating of an emergency worker and handling stolen goods. He pleaded guilty to the charges and was jailed for nine years nine months. Dadson of no fixed abode was charged with aggravated burglary and assault by beating of an emergency worker. He was jailed for six years. Garrett of Gobions Avenue, Romford was charged and pleaded guilty to aggravated burglary. He was also jailed for nine years nine months. 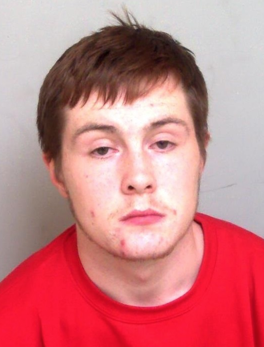 All three were sentenced at Basildon Crown Court on Friday April 12. 2 Responses to "Three jailed for attack on elderly couple in Grays"
These animals are total scum and should be hung, not locked up.